The Manchester & Ashton Under Lyne Canal, now know simply as the Ashton Canal, ran east from Manchester to Ashton Under Lyne. The Stockport Branch Canal linked the canal to Stockport. 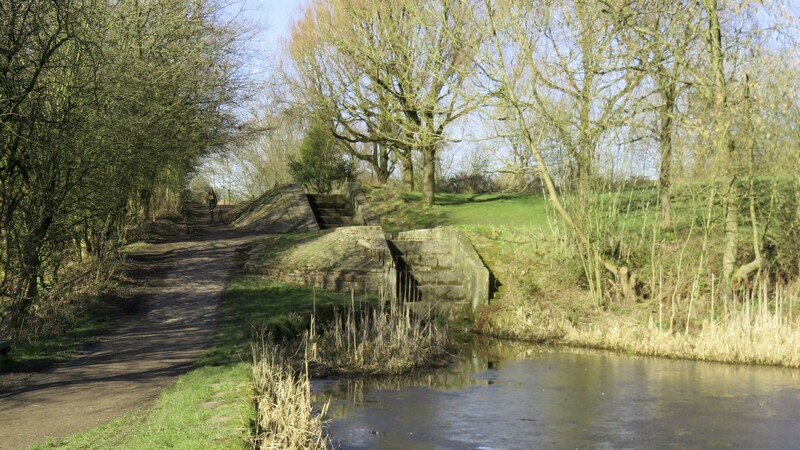 The Hollinwood Branch Canal, usually known today as the Hollinwood Canal, was opened in 1797, running generally northwards from Fairfield Junction in Droylsden to Hollinwood and was built to serve the Lancashire Coalfields along the route. The Fairbottom Branch was constructed to serve further collieries, leaving the main line at Waterhouses, or Fairbottom, Junction. There were proposals to provide a link to the Rochdale Canal near Hollinwood but these were never progressed. By 1948 the Fairbottom Branch was un-navigable, and the main line closed in stages from the northern end between 1955 and 1961. The aqueduct over the Manchester Victoria to Stalybridge railway line was removed, and later replaced by a footbridge for towpath walkers. The M60 Motorway severed the route in three places. The route has now been built over in several places, particularly the northernmost end in Hollinwood. In other places the canal has been filled in, with the towpath still walkable. The central section, particularly around Whitehouses (Fairbottom) Junction, is still in water and it doesn’t take much effort to imagine it re-opened. 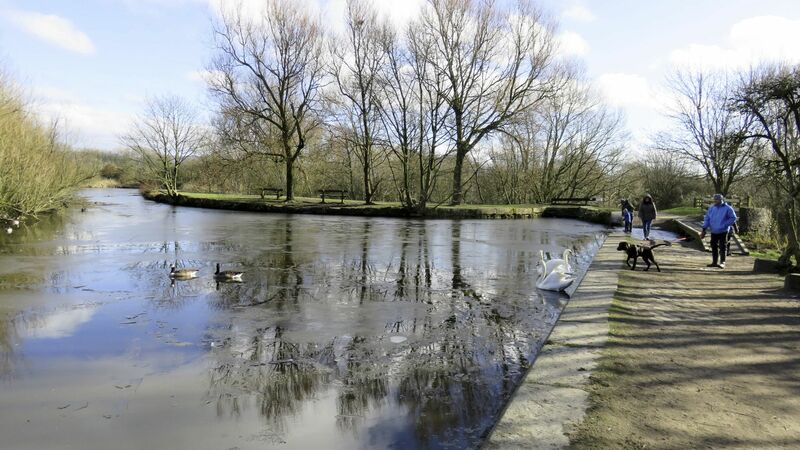 The Hollinwood Canal Society was formed in 2003 to support restoration of the route as far as practicable, possibly including the link, proposed many years ago, at the northern end to the Rochdale Canal. Like most restoration projects there are problems to solve, but nothing is impossible.